False Claims Act Investigations Defense Lawyers - Oberheiden, P.C. False Claims Act (“FCA”) investigations result in repayments of billions of dollars every year (in 2015 alone, FCA qui tam lawsuits resulted in over $2.8 billion in payments to the federal government). Due to the large number of complex regulations governing healthcare billing and reimbursement, healthcare companies are prime targets for FCA suits. If you own or operate a business in the healthcare industry, then you likely receive payments from federal government benefit programs including Medicare, Medicaid, and Tricare. These programs pay billions of dollars to healthcare providers every year. Unfortunately, federal programs also lose millions of dollars each year to false or fraudulent claims. The FCA is one of the government’s most effective tools in deterring fraud and recuperating claims paid to healthcare providers under false pretenses. 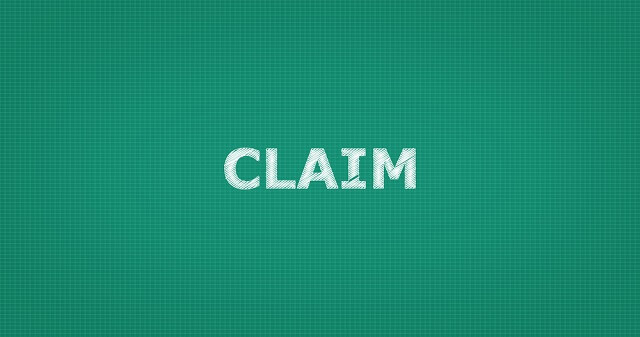 A claim may be false for any number of reasons. A few of the most common allegations are: billing for services that were never provided; billing for a more expensive service than was provided; billing for services that were provided but not medically necessary; and billing for services that were only referred to the provider because of an improper financial relationship. An FCA case may be brought by the government on its own initiative or may arise from a whistleblower (or relator) suit brought by a private individual on the government’s behalf. Most whistleblowers are terminated employees or business partners. Disgruntled ex-employees often go to an attorney to pursue employment claims and then learn of the FCA and its whistleblower provisions. Ex-business partners may approach an attorney to file a breach of contract claim and then learn of the potential financial benefits of pursuing a whistleblower suit. One useful step in defending potential whistleblower suits is interviewing departing employees and documenting any compliance concerns they may have at that time. This can not only alert the company of potential suits, but also can help rebut claims that are fabricated after the fact. FCA investigations generally progress for quite some time before the target of the investigation learns of the investigation. If the FCA investigation is the result of a whistleblower suit, it will be filed under seal. The most common way that a target finds out about the investigation is from business associates or employees that reach out saying that they have been contacted by government investigators who asked questions about the target. These contacts usually have many questions about the investigation but it is rarely beneficial to answer such questions. Federal investigators may also contact you directly. They may execute a search warrant or may ask you to agree to an interview with them. While investigators may claim that they are only interested in you as a witness, that may not be accurate and you should assume that you are the target of the investigation. You may also receive a target letter or grand jury subpoena asking you to provide testimony or documents. You should always seek legal counsel before responding to a target letter or subpoena. FCA investigations are very serious and may result in severe civil or criminal penalties. The government will have a considerable head start and will most likely have spent months or even years investigating your case before you even hire an attorney. It is important to give your attorney as much time as possible to catch up with the government and understand the underlying facts. Do not delay if you believe you may be the target of an FCA investigation. Many companies wait too long to seek legal representation after learning that they may be under investigation. They may not initially recognize the gravity of the situation, or they may want to wait until they are sure that they are the target of the investigation. Others simply fail to recognize the critical role an attorney plays in the initial stages of an investigation. How you respond to the initial stages of an FCA investigation can substantially affect what action if any the government takes against you, and your attorney can help you navigate that task. Conduct an internal investigation. Once you know the subject of the investigation it can be helpful for you and your attorney to do an investigation of the underlying conduct. This will allow you to understand the extent of your exposure and careful documentation of your findings will assist your attorney in responding to government findings in the event that they are exaggerated. If you know there may be a problem, repayment of certain funds may be an effective and necessary strategy. Improve your compliance program. It is important to show that your company puts compliance first and has an effective compliance apparatus. Make sure you have a qualified compliance officer and appropriate documentation of policies and procedures. Choose the right legal team. You need to choose your defense team quickly and correctly. You should choose counsel that has substantial experience in healthcare defense. The government’s healthcare enforcement regime is complex, and you do not want an attorney who is just dabbling in healthcare defense. You need attorneys with an established track record of achieving positive outcomes for their healthcare clients. Limit discussions of ongoing investigation with third parties. Beware of sharing information about the investigation with others. This is particularly true if you are contacted by old business associates that you have not been in contact with about the investigation; they may be working with government investigators. Try to limit discussions of any ongoing investigation with anyone other than your counsel as much as possible. The government can interview or call as witnesses your friends and business partners and can ask them what you said in confidence. Have a comprehensive defense strategy. All of these steps are part of an overarching plan. You need to have a consistent and targeted defense strategy. You don’t have time to waste, and you cannot afford to skip steps or make other mistakes that could jeopardize your defense.